Located approximately 20 miles southeast of downtown Memphis, Hickory Ridge Mall opened in 1981 at the corner of Winchester and Hickory Hill Roads. At the time, this was the farthest mall from Memphis’s core, and indicative of a shift in population away from the city and into the suburbs. 1981 was also the same year the larger Mall of Memphis opened, closer to the center of population and near the airport. 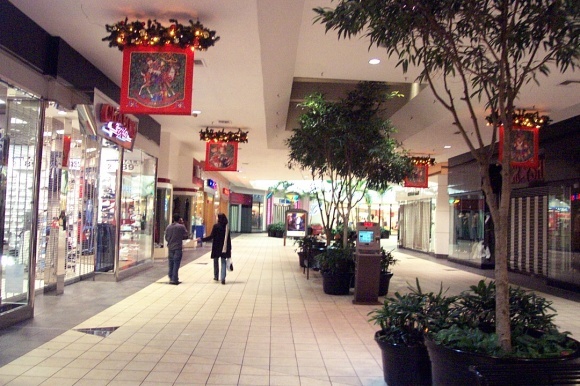 Over time, both malls failed: Mall of Memphis succumbed due to a perception of crime after some high-profile incidents, and Hickory Ridge Mall faltered due to the wrath of overbuilding and demographic changes before being snuffed out by mother nature. When Hickory Ridge and Mall of Memphis debuted, there were already several shopping centers in town. 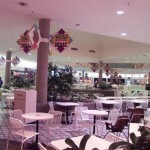 Memphis’s extant mallscape included the small, much older Southland Mall, built near Elvis Presley’s house in 1966, and the Raleigh Springs Mall, located on the north side, built in 1971. Shortly after Hickory Ridge opened, it became the anchor to a long corridor of retail along Winchester Road, home to several million square feet of retail space in the form of big box stores and strip malls. This was the hot retail area in Memphis for a hot minute, before changing demographics and other forces banished this corridor’s progress and revenues sank during the 1990s and beyond. 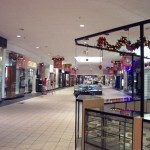 In 1988, Hickory Ridge received a minor blow in the form of a new upscale mall located in southeast Memphis on Poplar Avenue, Oak Court Mall. While smaller than Hickory Ridge, Oak Court has always been fully tenanted and has been an upscale fixture in Memphis retailing since it opened, drawing wealthy shoppers from all parts of the area. 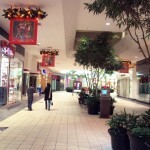 Oak Court Mall is also the closest mall to wealthy Germantown. As an offensive move against Oak Court, Hickory Ridge completed an expansion in 1986. 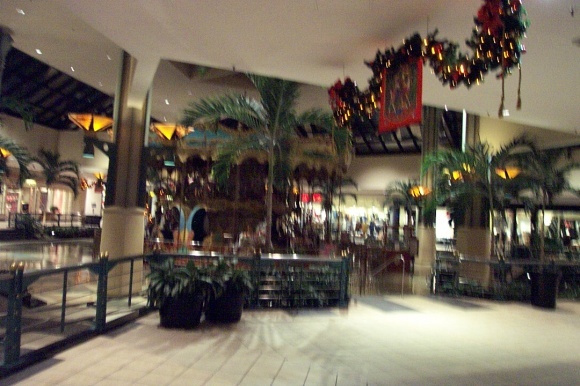 Hickory Ridge’s design after the expansion was modified T-shape, with a slight zig-zag at the middle of the mall, where a two-story carousel sits under a tall glass canopy. Anchors included Memphis-based Goldsmith’s, Sears, and Dillards. A demographic change came to the Hickory Hill area in the 1990s, causing the number of whites in the area to drop by 50 percent and the number of blacks to grow 450 percent. This trend changed the types of stores at the mall, even though the Hickory Hill area remains one of the wealthiest and most educated black-majority neighborhoods in Memphis. Another change took place when the neighborhood was annexed by the city of Memphis, which doubled commercial as well as residential rents. This taxation not only directly burdened retailers, but it further encouraged residents to move even farther into the suburbs where taxes are lower. In addition, the 385 freeway, Nonconnah Parkway, was constructed in the area, allowing residents to bypass Hickory Ridge Mall on their way to the booming sprawl in Collierville. 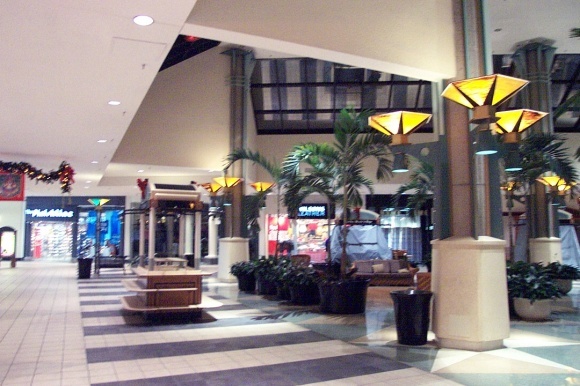 In February 1997, a new mall opened on I-40 in far northeast Memphis, and quickly became the destinational retail center of choice in the Memphis area. Wolfchase Galleria has 130 stores, four anchors, and 1.3 million square feet of retail space, and spawned a new retail corridor around it on Germantown Parkway. Furthermore, Wolfchase is the closest mall to the most wealthy, newest parts of Memphis like Cordova. As Wolfchase opened, Hickory Ridge issued its counter-offensive in terms of a whole scale renovation of the mall, removing the dated 1980s look completely and attempting to stave off competition as much as possible. Unfortunately, the renovation of Hickory Ridge, located away from major freeways, was too late to ensure a permanency of success here. 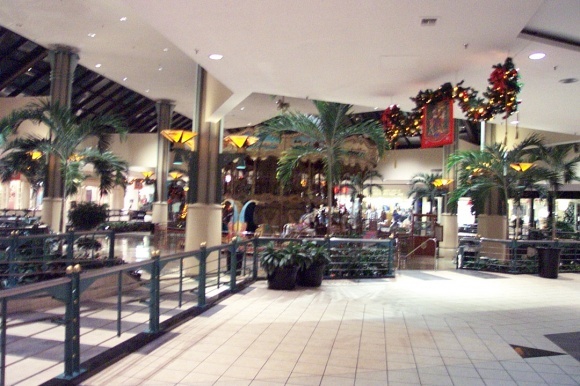 The 2000s were a rough decade at Hickory Ridge Mall. By 2003, the Winchester Road strip corridor was over 70% vacant, with 700,000 square feet of dead retail space. 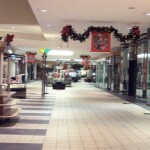 The problems were much more serious than simple turnover, too – Memphis had too much physical space devoted to retail. And, the mall wasn’t immune to the failure of the strip surrounding it. To compound this, more retail was being constructed at an alarming rate in suburbs farther out, where a brand new mall was even being planned in Collierville. 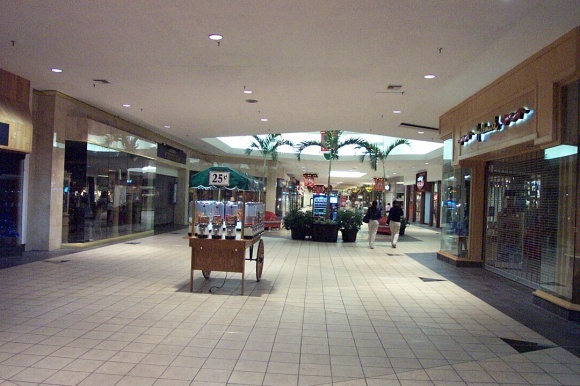 In May 2003, Carlyle Development took the reigns of Hickory Ridge Mall, having purchased it that year for $13.5 million; and, citing an 20 percent vacancy rate and rapidly changing demographics, they decided to dramatically refocus the mall. According to Carlyle, marketing the mall toward a middle-to-upper-income set, putting it in direct competition with Oak Court and Wolfchase Galleria, was a mistake. They changed their focus to target a lower to lower-middle income set of folks, orienting the mall as more discount-focused with apparel at the forefront. This repositioning was probably a good strategy at the time, all things considered, in an attempt to save the mall without too much wrangling. Over the next few years, Carlyle implemented their plans and Hickory Ridge slowly lost many national middle to upmarket chains, which were replaced by local stores, discount chains, athletic apparel stores and shoe stores. Oh, and vacancy. 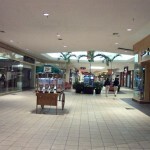 The vacancy rate at Hickory Ridge creeped up from 20% in 2003 to 40% in 2006, and by 2007 nearly half of the mall was empty. At the same time this was happening, Macy’s purchased Goldsmith’s, and phased out the name by 2005. Meanwhile, two brand new malls opened in the Memphis area, one in growing DeSoto County, Mississippi, and another one in Collierville. The one in Collierville, Avenue Carriage Crossing, stole more of Hickory Ridge’s potential customer base when it opened in 2005. I say potential customers because they probably weren’t shopping at Hickory Ridge by then, anyway, so it was kind of a moot point. Avenue Carriage Crossing ended up delivering a major blow to Hickory Ridge by sucking away Dillard’s, who opened a 200,000 square foot store at Avenue Carriage Crossing in early 2006, effectively making the Carriage Crossing store a replacement. Up until this point, the Hickory Ridge story has been fairly typical. Changing demographics, continued sprawl, and competition sent this mall into a pretty common downward spiral; however, on February 5, 2008, mother nature decided to change the mall’s slow decline into an immediate one. An F2 tornado touched down at the mall that day, collapsing a 50-foot wall of Sears, tearing a giant hole in Macy’s and twisting much of the roof off center court. The mall was also severely flooded. Sears patched up the damage to their store and opened five days later, on February 10th, but none of the rest of the stores at the mall have been open since (as of March 2010). The tornado effectively killed the mall. Click here for a video of the tornado showing damage to the Hickory Ridge Mall. Click here for a photo gallery of the extensive damage at Hickory Ridge Mall. Whoops. It seems the mall posted some photos it wasn’t entitled to post. The author of the damage photos has denied their use, so the link is dead. Sorry! In the days, weeks, months, and even years that have followed the tornado, residents have sat and waited for their mall to reopen. Early on, Macy’s decided to give up and not reopen their damaged store, showing their commitment to the site wasn’t that strong. Also, due to the mall’s beleaguered state before the tornado, owner Carlyle wasn’t in a hurry to patch it up and get it running again either. For a time, the city even wanted to step in and purchase the mall to put civic offices there. However, a different buyer was found, and Carlyle sold the site to a church in October 2008 for $1.4 million, about 10 percent of what they paid for it in 2003. Ouch. The new buyer, World Overcomers Outreach Ministries Church, immediately set forth with grandiose plans for the tornado-ravaged site. Its first order of business was to repair the twisted center court area, which cost $5 million. Next, the church laid groundwork for re-tenanting the center, which is to be a mix of commercial retail, social services, and entertainment. The 3,000 member church, which is located down the street from Hickory Ridge Mall and is known for displaying a striking 72-foot-tall Christian reinterpretation of the Statue of Liberty, holding a cross in one palm and the ten commandments in the other, laid out these plans in five ambitious phases. Phase I, set to commence in April 2010 with the grand reopening of the mall, will include 32 commercial retailers, 10 community and social service agencies, 8 food court vendors, 2 education and training centers, and entertainment venues including the two-level carousel and a movie theater. Phase II will consist of 18 various medical offices, including natal care, 15 additional social services agencies, 4 more food court vendors, a child care center, more training and education centers, and an Incredible Pizza franchise. This phase will take place mostly in the former Macy’s wing of the mall. Phase III will convert the former Macy’s building itself into a 72,000 square-foot conference center and banquet hall. It will also have an auditorium, kitchen, and historical museum. Phase IV will convert the former Dillard’s location to a youth enrichment and entertainment center, including a roller skating rink, recording studios, and computer lab. In addition, a business center or a hispanic cultural center, to reflect the changing demographics in the area, will open as well. Phase IV is slated to be complete by 2012. Taking place away from the mall, Phase V will manage the construction of a 60-80 unit senior living facility on the periphery of the mall, as well as a 1,000 seat outdoor ampitheatre and performing arts complex. In addition to these phases, Sears will remain at the mall where it has been the entire time, except for the five days it closed after the tornado. According to the church, Phase I and the mall’s reopening will take place next week, on April 3, 2010. 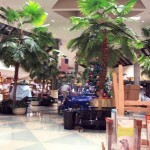 Check out these photos of the work the church has been doing to repair the mall and prepare it for opening. It’s been a long time coming, but this is a welcome reinvestment in a neighborhood that has had major setbacks as retailers follow the dollars east. It’s hard to really feel bad for Hickory Ridge Mall and this area, because it was sprawl to begin with, but it’s sad that an entire layer of the city has fallen in this manner. We’ll keep up to date with developments in this interesting story. 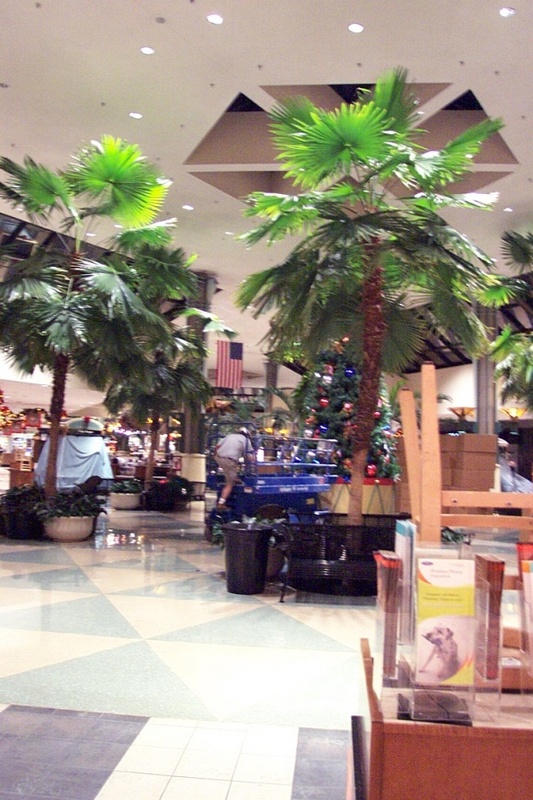 In the mean time, take a look at the pictures I took in January 2004, when the mall still had Goldsmith’s. Feel free to leave some comments, too. Very odd. One thing of notice was that there was a rather large space that opened in 2006 called “The Situation”. Why would owners deliberately try to gracelessly downscale a mall? It doesn’t make a lot of sense: there could’ve been other ways to change it, such as introducing an outlet/festival market feel or an emphasis on local stores (in a good way). So far the redevelopment still tries to preserve itself as a mall but also some really non-traditional usages, too! Cool! 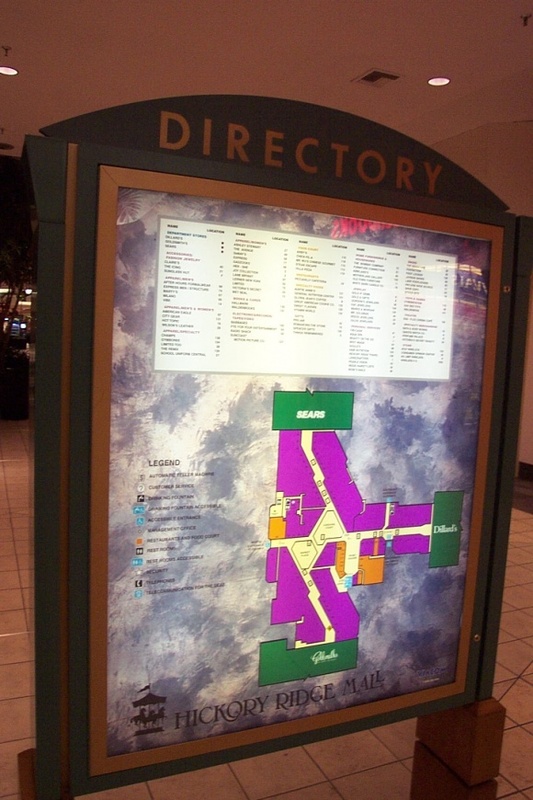 @Pseudo3D, the Memphis area seems to have a lot of issues with malls becoming stigmatized due to crime (real or perceived) and this one is relatively close to the infamous “Mall of Murder.” So it’s possible they didn’t necessarily have a ton to work with. I don’t know the area but I would imagine that after the Mall of Memphis closed, it’s possible there was a sense that the “element” migrated here. There were two junior anchors at one point: M. M. Cohn in the Sears wing, which later became The Situation. 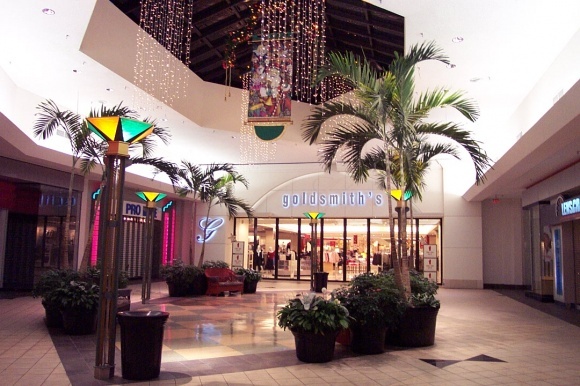 The other, in the Goldsmith’s wing, was Citi Trends and then a furniture store. Any idea if the Citi Trends space used to be something else? It looks like it could’ve started out as a junior anchor too. I think it’s a good idea how the church is trying to reorient the mall into a community center environment, the Incredible Pizza place should be successful along with the movie theater and double decker carousel. 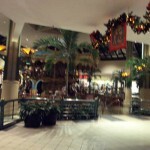 We ate at a restaurant outside of this mall in the Summer of 2007 – Rafferty’s. It was apparently hit by the tornado, as Google Streetview shows it as an empty lot now. We didn’t want to go into the mall because we felt the neighborhood was that bad. And it looked dead already. We were staying right across from the Mall of Memphis site, which still showed up as a huge mall on the map we had, and drove to Hickory Ridge thinking there’d be restaurants. The renovations look amazing considering the amount of damage, and how bad the neighborhood appeared. It’ll be interesting to see how the church does in repurposing the mall. This sort of thing usually fails. This seems lime a case of example of how unadaptable malls are and why developers aren’t building any new ones. What a story about this place! I’m glad somebody captured Goldsmith’s before it was gone, too. It seems tornadoes hit malls more than people would like to think…I have known of several cases, and I tend to wonder if any that I have already covered will be next. Parkway Place Mall in Huntsville is very high at risk since the original strip mall that was located there was flattened by an F5 in 1974 and an F4 hit very close to it in 1989. The chance of tornadoes hitting malls in that area (Memphis) seems to be extremely high as nearby Jackson, TN is prone to severe tornadoes itself. As to tornadoes, a mall that I just covered came dangerously close to being destroyed by an F4 tornado itself. I think more than anything else that despite the comfort factor that maybe the plan all these years of enclosing malls was a big mistake. If this mall had been open-air, it would have more likely rebounded and definitely not have flooded like that, because it would have been designed for rainfall. 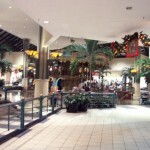 On the subject of Memphis malls, anyone know anything about Chickashaw Oaks Village? It obviously had two anchors at one point, but I’ve been totally unable to find a whit of information on this place’s history. Also, there’s a big chunk of vacancy in the Southland Mall, going towards Macy’s on the north side of the mall. Any idea what this big vacancy was? Part of it is now a Finish Line. Great post, fascinating history. 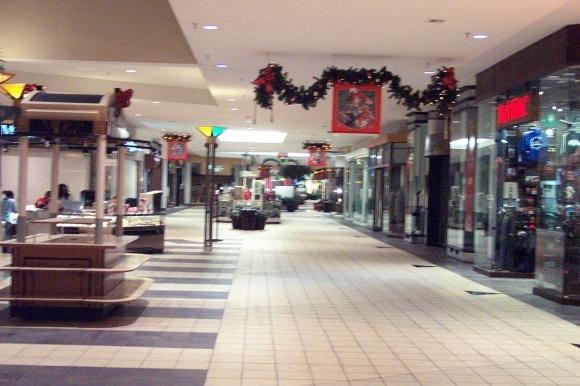 The concept of churches acquiring dead or dying malls reminds me of a scene in one of my favorite post-apocalyptic novels “Swan Song” in which a band of nuclear blast survivors led by a radical Christian fundamentalist takes refuge in a ravaged mall. All that’s missing was the youth enrichment center and the, uh, roller rink. I visited this mall back in 2003 right as Mall of Memphis was about to shut its doors for good, and it seemed to be holding somewhat steady. Amazing how in a few years everything bottomed out, especially given its nearest competitor long bit the dust. Also surprising that Mall of Memphis failed before Hickory Ridge, considering it truly was hard to get to from the highway. @alpha, My daughter and I first visited Memphis to see my folks in 1997. Nice town. Pretty upscale at the time. Two great malls (Memphis and Hickory Ridge) near my parents. Kyla and I returned in ’03. The Mall at Memphis was nearly unoccupied, the parking lot was empty, and the stores (what few remained) were selling junk. Hickory Ridge was still nice, but not as nice as it had been six years before. We still enjoyed our visit. I returned in October ’07 to bring my parents back to Boise ID. The Mall at Memphis was closed down. 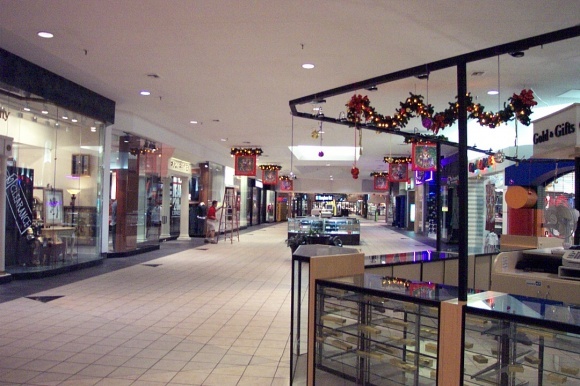 Hickory Ridge looked like the Mall at Memphis in ’03. It was nearly unoccupied, the few remaining stores were selling junk, and entire stretches of the parking lot out back were empty, with grass growing out of huge cracks in the pavement. My sense then was that the place was dying. The decision to close after the tornado, came as no surprise at all. I think the mall management, in fact the entire city administration and their boosters, needs to stop painting glowing pictures about how they can turn the mall around and make a go of it. They need to recognize the basic problem–the customers aren’t going to be there. I’d give it five to ten more years and the dream will die for good. Bobby P. not sure where this big vacancy is that you’re talking about. 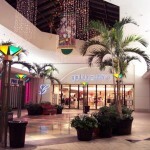 It’s been years since i’ve visited Southland Mall, but I know MM Cohn also used to be in Southland Mall. It was a fairly large department store. 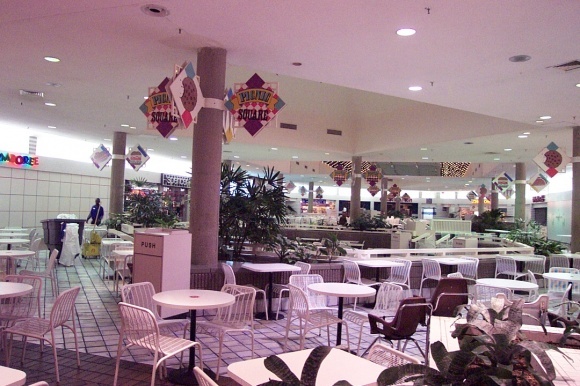 Also Woolworth’s and Lerner’s were in Southland Mall during it’s early days and they were fairly large as well. There was also Stuarts, 5,7,9, and The Merry Go Round!! Great story and pictures… Am glad someone really knows the story of this mall. I don’t know how things are going to work out for this mall, but people are still trying their best to make the dreams come true. 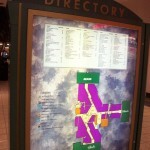 I believe what this mall needs, is brand name stores… And a hole bunch of publicity. Raleigh people need to start moving down to this mall, and with one more anchor store would do it… Who knows… Time will give us the answer one day. I remember meeting my future (and now ex) wife after her work at the Hickory Ridge Mall. It was a maternity store that sold clothing only, and was owned by a sole proprietor (the name Rachael comes to mind). It is good to see it reopening, and hopefully will come back to its pre-internet glory. I am from Memphis, but have not been home since 2000. Some things that ruined Hickory Hill…. *Memphis annexation, with “white flight” and a changing demographic. A lot of these new people (not all but many) are Section 8 people, who have been taking up a lot of the housing, causing crime, making many law abiding people to move to Mississippi and far eastern Shelby County. *Wolfchase Mall, I think more than Oak Court. 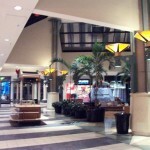 As mentioned in your article, Oak Court is high end boutique type shopping, and it isn’t that large of a mall. * In 1995, a manager of a stand alone “TGI Fridays” restaurant down the road was murdered and money stolen after closing one evening. A female bartender was shot three times and survived, even though she complied with the gunman’s demands. If you ask a long time Memphian around what time did Hickory Hill go to the dogs, most will point to that one event. Although the crime was an inside job committed by the dishwasher and two accomplices, this changed the perception of the area as suburban and safe. Of course, people were a bit jittery about having dinner down there. Or shopping. Just the other day, a pizza delivery man was murdered and robbed in that area. He was killed because he refused to give up the cash. There was another story about a riot at a Chuck E. Cheese pizza shop near the Hickory Ridge Mall. The area is so bad now that it is referred to as Hickory Hood (by everyone). * A tornado hit it. Memphis is religious with the tornado seen as a bad omen, and maybe a message from the supernatural over the demise of the area. I have Google Earth Street Viewed Winchester Road and am a little shocked at all the empty space. Oh well, it’s all about demographics, and what the demographic didn’t kill, the economy did. @Senor Boogie Woogie, Willie Herenton killed this mall. he killed hickory hill. he strangled memphis. he was the worst thing to happen to memphis since martin luther king jr. got shot. his reign lasted 18 years. now we have a new mayor. over time memphis has,can and will get better.. but it will never be what it was. Can or do anyone knows and can remeber the name of the antiques store that was o the right side of the mall at the entrance door of the Hickory Hill Mall back in the 1990’s. before the storm hit. were did they move to? I grew up less than a mile from the Mall, before it was there, and went (sometimes) as a teen in the 80’s. It always seemed so nice, and a great break from summer heat! Went back in 2002 after about 6 years and it had definitely changed but still seemed nice. Lucky for me, I got pictures of my grandmother (an 80+ year Memphis resident and retired with Goldsmith’s) with my kids on the Merry-Go-Round. Good thing there are memories; I went back in 2010 as she was ill and the ENTIRE area is a total SHAME. Not just the mall area, but the entire section of town had empty building after empty building. Hopefully one day Memphis will come back; but its looking doubtfull. Yes, the malls demise came about because of a “demographic change”. Smh. Just say the damn thing – blacks smothered the area and the result was an increase in crime and inability to actually purchase things from the store because they are lazy. That’s what happened to the hickory ridge mall.